Over the last month I've been on quite a bit of a spending splurge so I thought I would share my latest purchases with you all as I - like many other bloggers - love to read haul posts to see what things people are buying and what's in the shops as I am incredibly nosy. 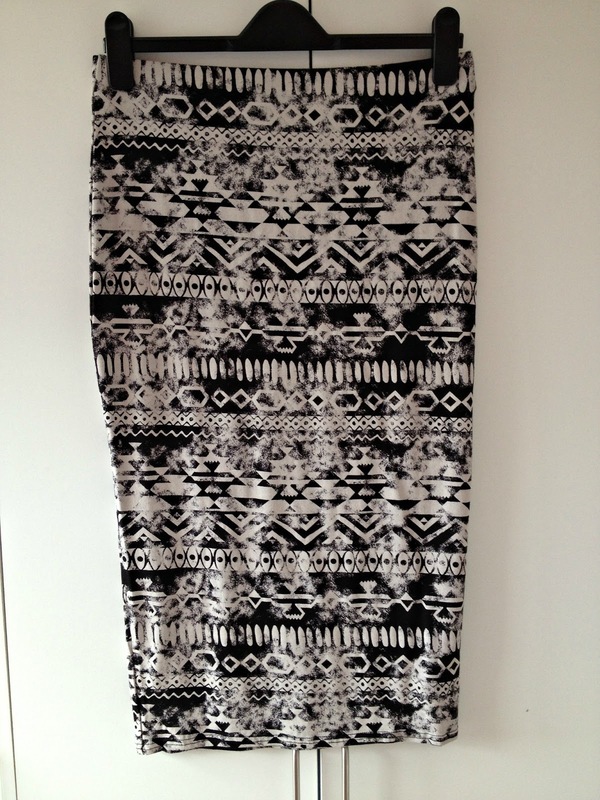 On a trip to the Metro Centre, I picked up this gorgeous aztec midi skirt from Dorothy Perkins for only £16. I absolutely love midi skirts as they can be both dressed up and dressed down for a more casual look. I will probably wear this with a plain black tee with wedges and a statement necklace for a dressed up look or my sandlas or Vans for a casual shopping trip/lunch with friends look. Whilst at the Metro Centre, I also picked up these wedges from Primark - of course for only £10 a pair I had to have both colours! 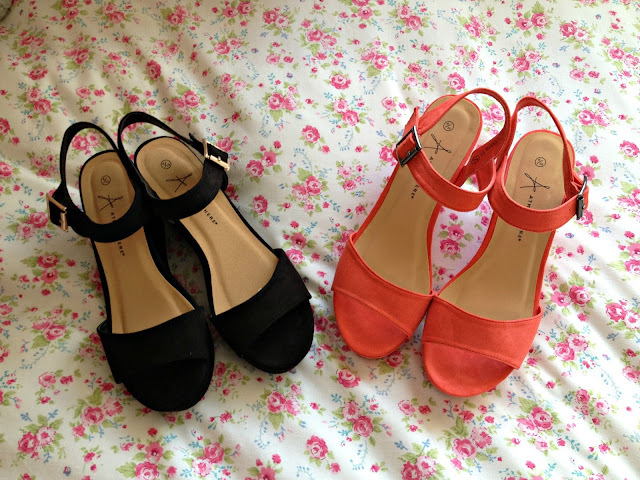 The black ones will be great with any outfit and I love the orange ones for during the summer months to add some vibrancy to my outfits. 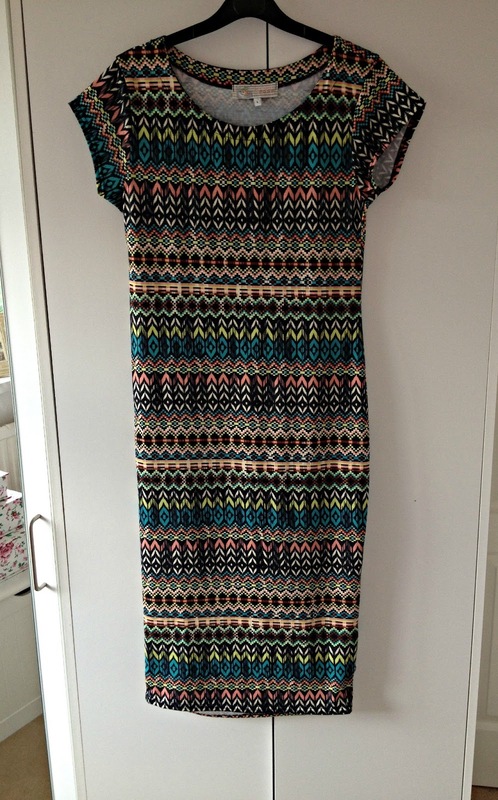 Whilst I was shopping in Durham I picked up this beautiful aztec midi dress from New Look for around £14.99. 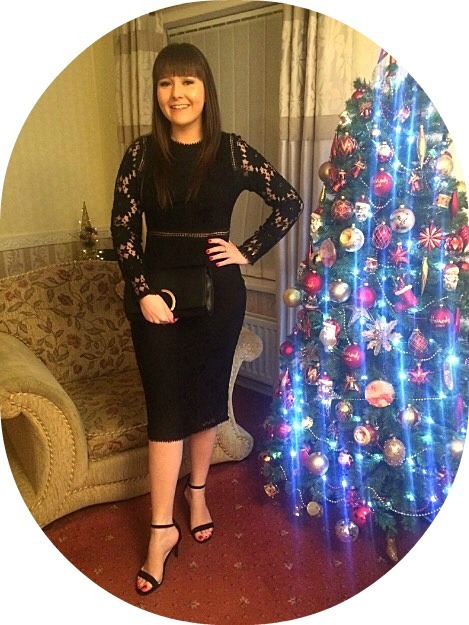 I love aztec because I find it very flattering for my figure as I'm no stick insect and think it will be lovely during the summer months. I recently wore it for an afternoon lunch out with my family with the orange Primark Wedges and my denim jacket. 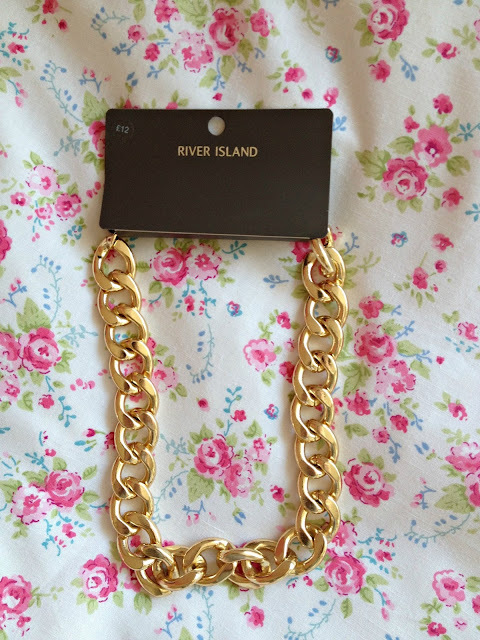 I also picked up this chunky gold chain from River Island for £12. I've seen so many people wearing these lately and I'm not going to lie at first I wasn't so keen but then I saw a blogger wearing one with her outfit (sorry I can't remember who) and knew I had to have one! It took me ages to find one I liked because I didn't want it to look cheap but I didn't want it to be heavy. This one is ideal - it's a lovely shiny gold and quite lightweight too. Just yesterday, I went to York with my mam and dad for the day. We decided to have a look into the designer outlet after getting back from York itself. 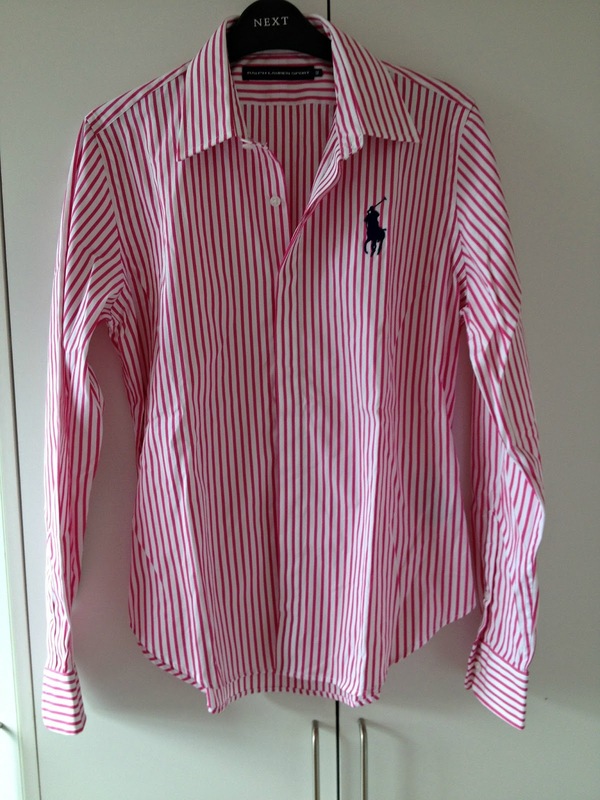 Last time I was there was before Christmas and I really liked this shirt (please excuse the creases I need to iron it) but unfortunately they had ran out of my size but luckily for me (but not my purse) they had it back in stock! 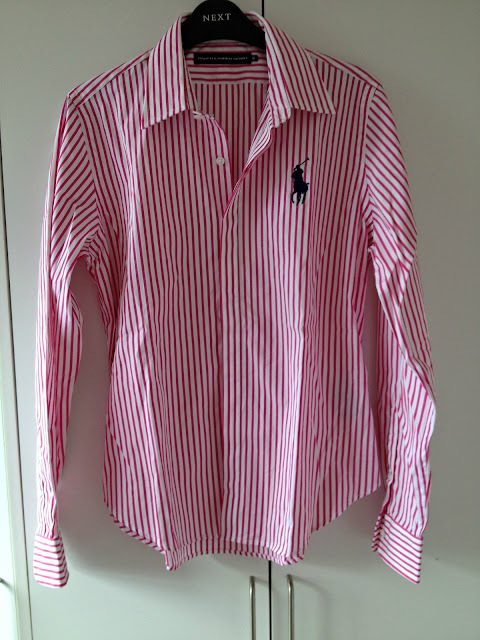 It is a lovely vibrant pink stripe shirt and will look lovely with a pair of blue jeans; it will also look nice left open with a plain white tee underneath. These are supposed to be around £70 in shops I think but this was reduced down to £54.99 and then even further to only £34.99 which is quite a saving! I also picked up this polo shirt in a bright vibrant pink for £24.99 reduced from £44.99 (again excuse the creases). 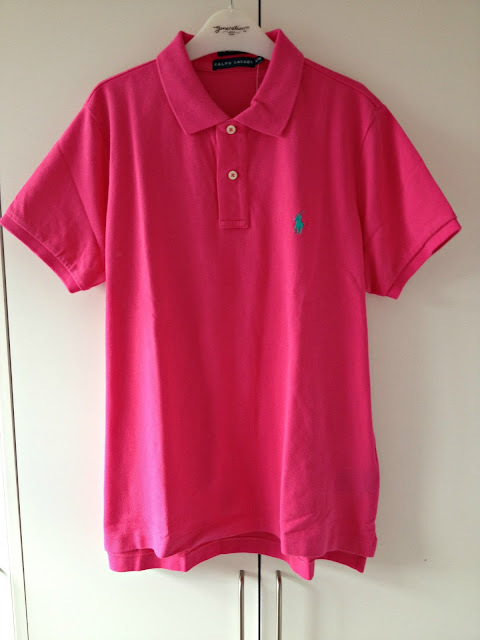 I already own a couple of these and love them during the summer months under my blazers or even with jeans - I really like them for those days in sixth form when I really can't be bothered! 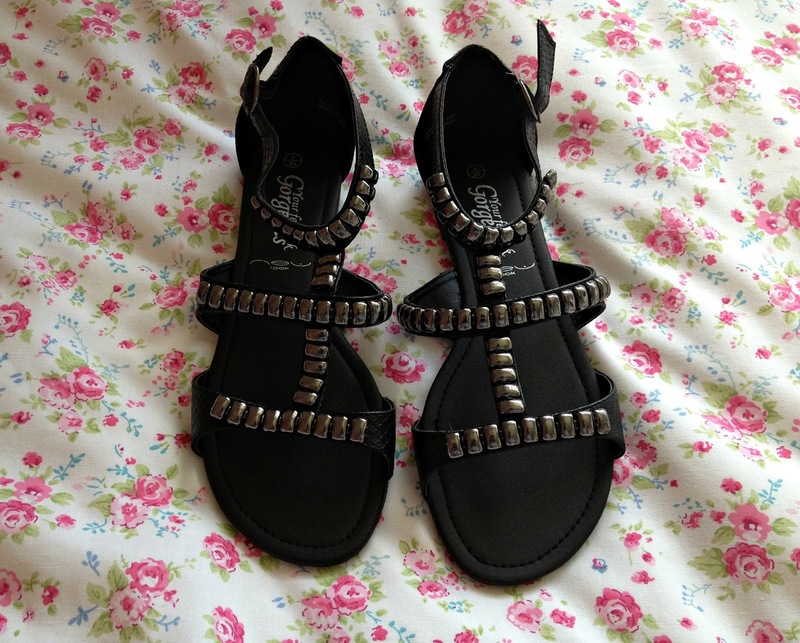 I've been searching for a pair of black sandals for quite sometime now and I finally found a pair I liked! I picked these up from New Look whilst in York for £17.99 - I love flat sandals for during the summer as I'm certainly not the sort of girl who goes shopping in heels. 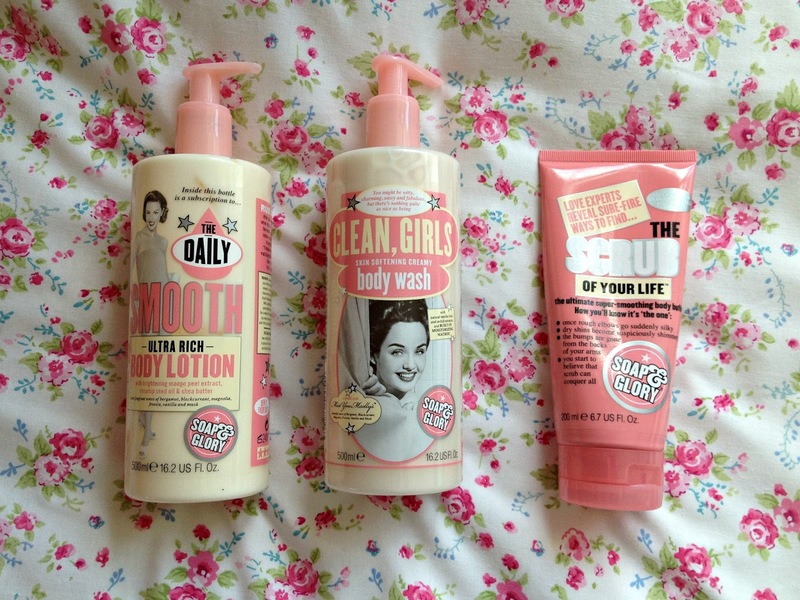 Firstly, I headed into Boots to pick up some body scrub and ended up walking out with a body scrub, a body lotion and a body wash (don't blame me, blame 3 for 2!) I love Soap and Glory products and have used this body scrub and wash for as long as I can remember so thought it was about time I picked up the body lotion - I'm already hooked! Most beauty bloggers have probably heard about Escentual; well for those of you who don't know they are a website which sell some amazing beauty products. Everyday throughout the month of June they are offering a 1/3 off french pharmacy products including everything from Bioderma to La Roche Posay to Vichy. 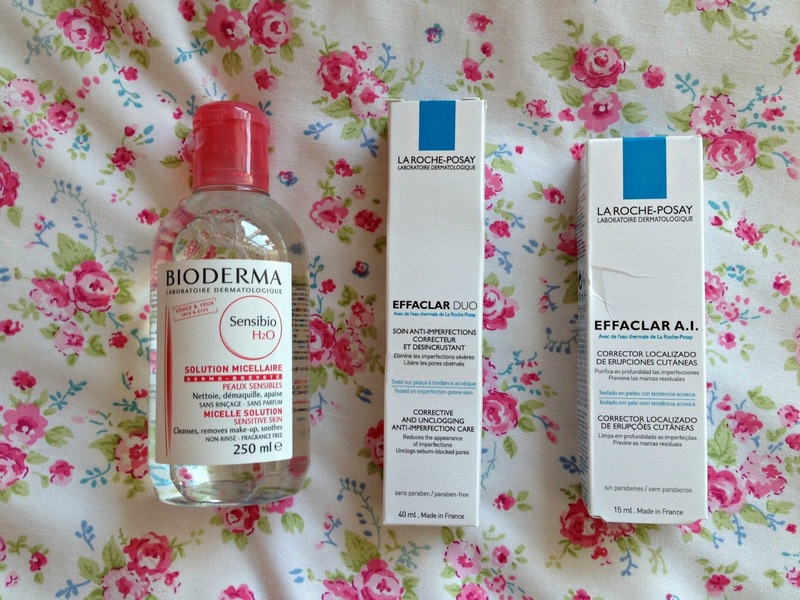 I took full advantage of this and finally jumped on the Bioderma bandwagon! I purchased two 250ml bottles for £13 in stead of £20. I also picked up a La Roche Posay Effaclar Duo for £8 instead of £13 as I am almost through the tube I am currently using and being a girl who can't resist a bargain, I also picked up the La Roche Posay Effaclar A.I Targeted Breakout Corrector to try - this was £7 instead of £10.50. 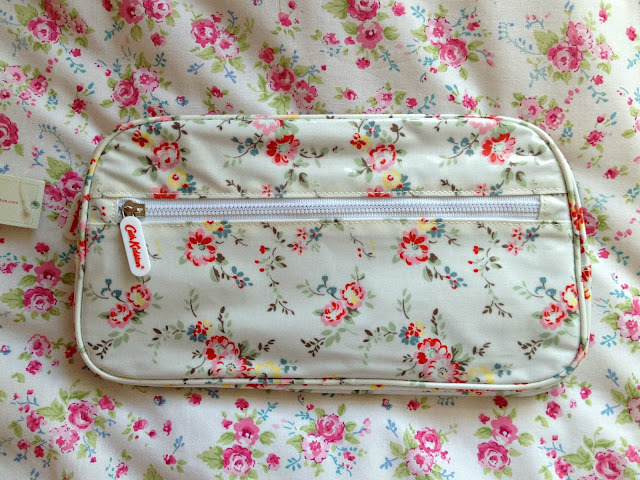 Finally, whilst in York, I picked up this Cath Kidston wash bag for when I go on holiday to match my make up bags for £18. I really wanted something like this to put all of my creams inside. What have you been buying over the last month?